British Tamils staged a protest in Oxford yesterday evening, as Sri Lankan Prime Minister Ranil Wickremesinghe addressed the Oxford Union. 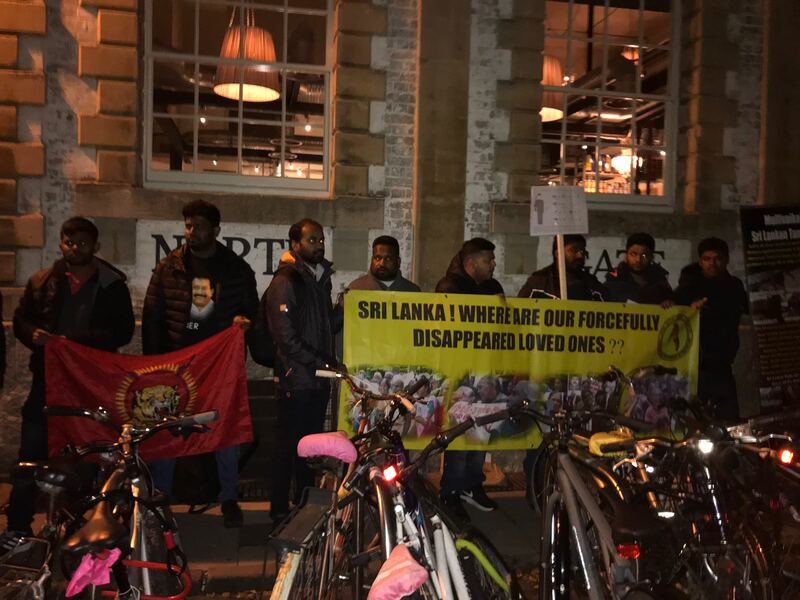 Members of the Transnational Government of Tamil Eelam held a demonstration outside the Oxford Union, where Wickremesinghe spoke out against international involvement in investigations. 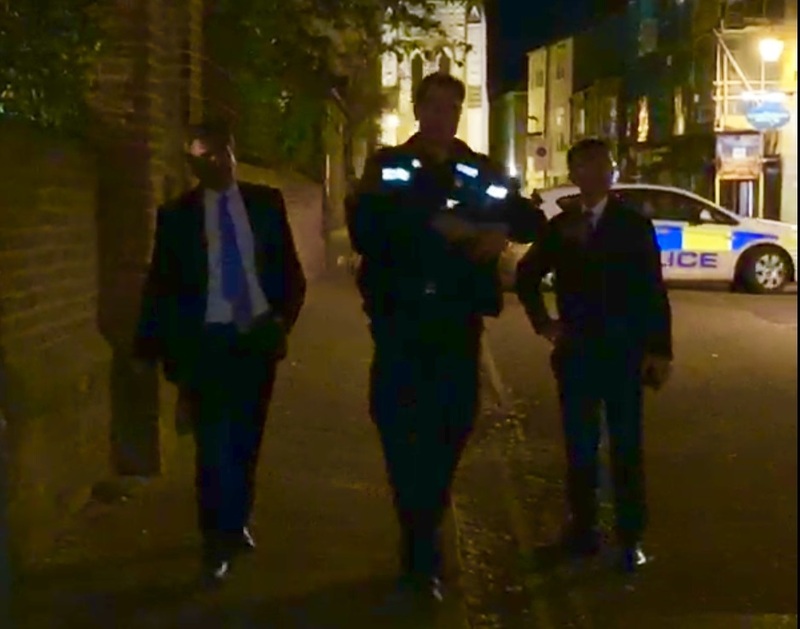 Protestors told the Tamil Guardian that an official from the Sri Lankan High Commission in the UK was seen urging Thames Valley police officers to arrest some of the demonstrators. Above: The reported Sri Lankan embassy official speaking with Thames Valley police. The official, who was reportedly also spotted by demonstrators outside the Sri Lankan High Commission on February 4 when Defence Attaché Brigadier Priyanka Fernando was caught on video threatening Tamil protestors in London, reportedly directed police to arrest two Tamil activists under counter terrorism legislation. At least two of the protesting Tamils were arrested and held overnight by Thames Valley police.